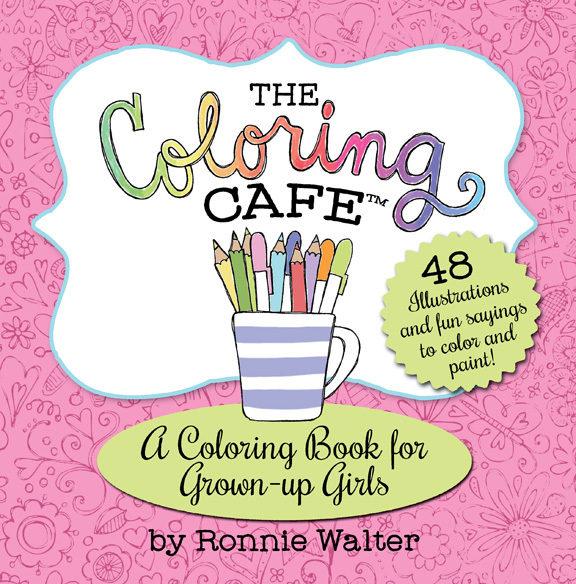 Ronnie Walter has known since she could first hold a crayon what she wanted to do with her life, and that little girl who could draw really well grew up to be a professional artist and author. Her illustrations have been featured on hundreds of products such as stationery and greeting cards, figurines, home and garden products, fabric and much more. 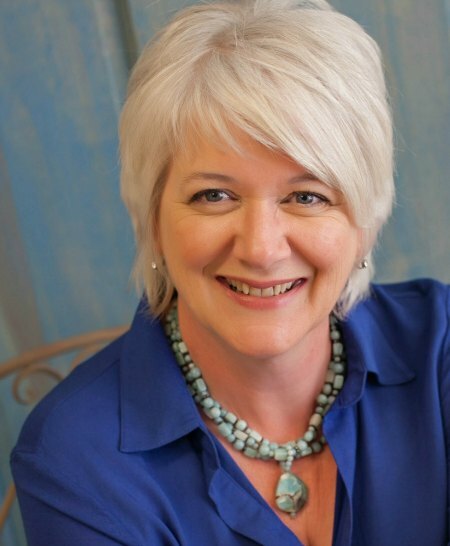 She has also published both fiction and non-fiction books, but she is especially proud of her work creating the Coloring Café® series of coloring books and journals, and of the joy they have brought to thousands of her “Coloristas.” Ronnie lives in a Florida paradise with her husband Jim and their colorful Catahoula hound, Larry. 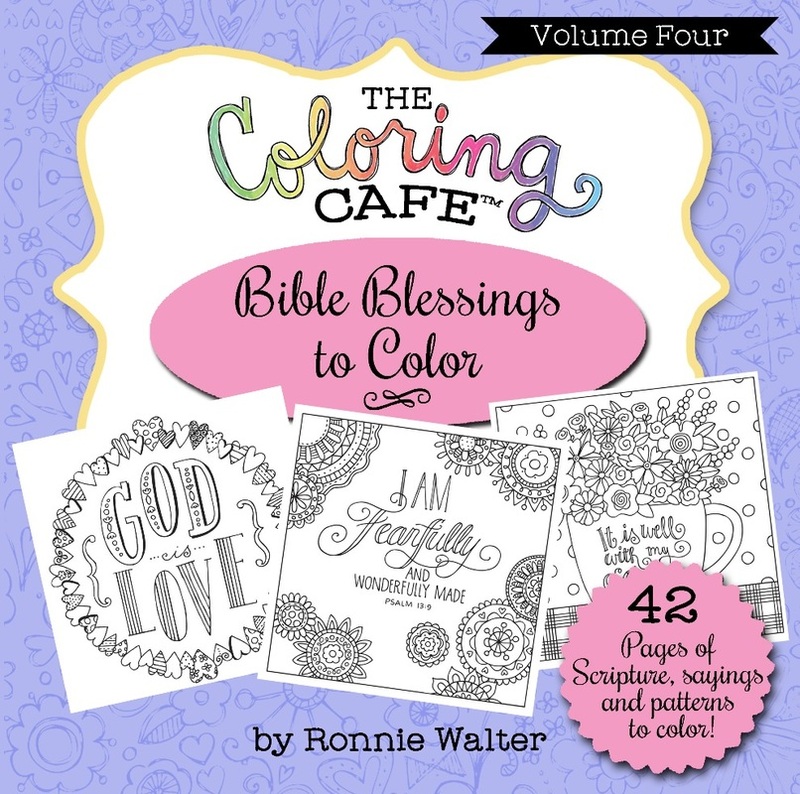 Enjoy the relaxing and fun activity of coloring these adorable illustrations, inspirational sayings and clever patterns in this coloring book drawn by illustrator Ronnie Walter! 48 full page designs to color, each single sided so you can color and cut them out without damaging another of your masterpieces! 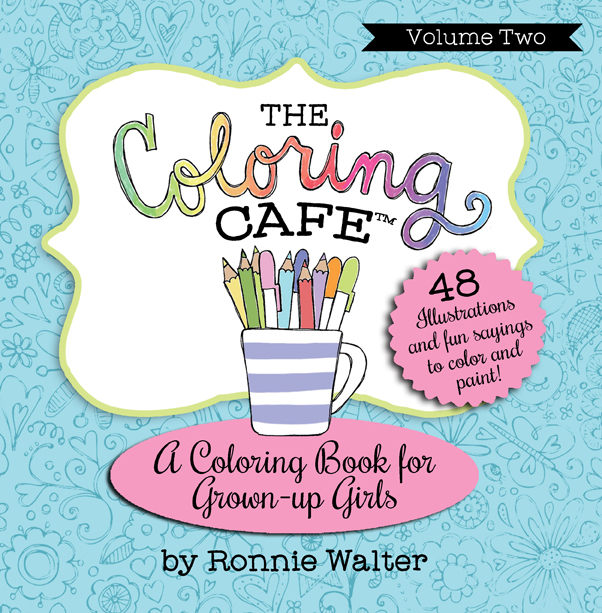 The Coloring Cafe-Volume Two serves up a second helping of 48 fun illustrations, sayings and patterns to color from artist Ronnie Walter. Enjoy this relaxing and fun activity alone or with a group of your friends. Single sided pages are blank on the back. 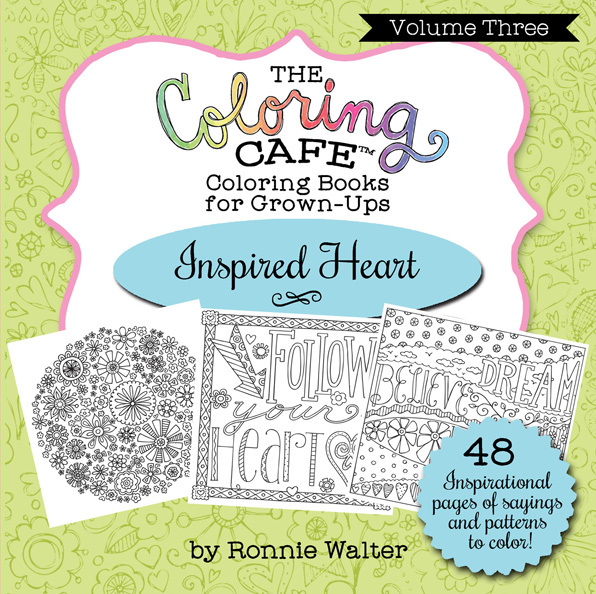 The Coloring Cafe's Inspired Heart delivers 48 uplifting sayings, cute illustrations and fun patterns. 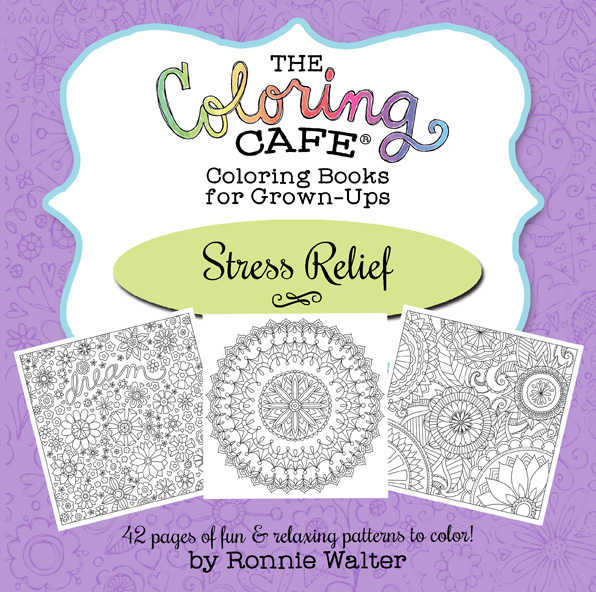 Coloring is a relaxing and creative outlet and this book proves that stress relief can be fun. Single sided pages are blank on the back. These 42 engaging illustrations and patterns accompany favorite Bible verses and inspirational messages, bringing hours of creative relaxation into your life all while lifting your spirit. A perfect way to melt away the stress and reflect upon your Faith. Single sided pages are blank on the back. 42 pages of lighthearted patterns and fun illustrations for you. Sit down, pick up your pencils and markers and watch the stress start to slip away from your busy life. 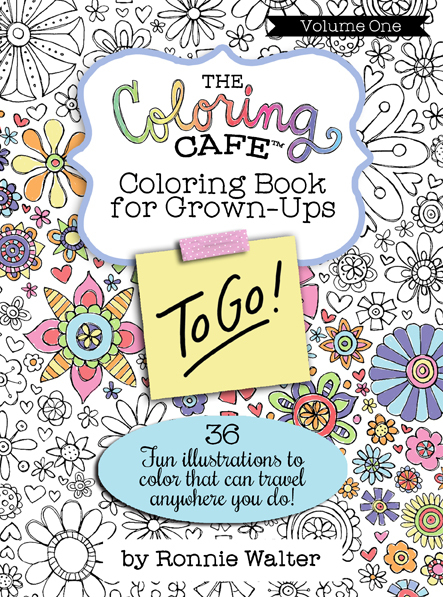 Great to color by yourself or with your supportive friends and family! Single sided pages are blank on the back. Travel size book is just right for tucking into your purse or backpack when you are on the go. Binding is at the top, like a tablet. 36 illustrations that are perfect for coloring anywhere. 36 designs are blank on the back. 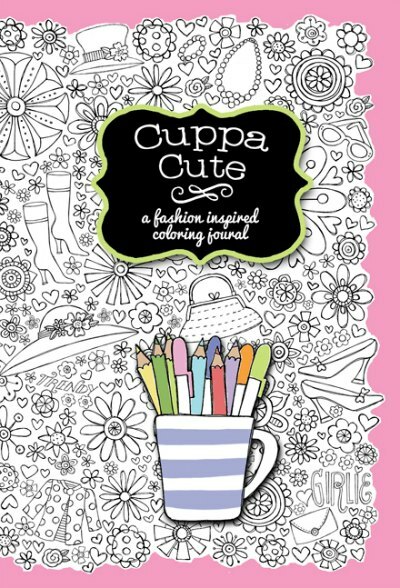 Cuppa Cute is part of the popular Coloring Cafe Coloring Books series, and combines pages for journaling and note taking along with 35 different illustrations to color. Filled with fun and fashion-centric drawings, it’s small enough to tuck into a purse or bag. 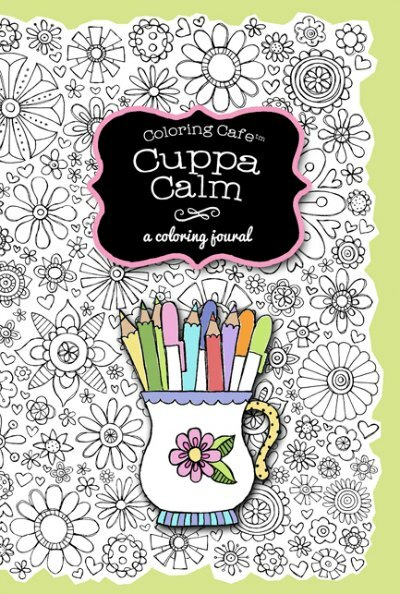 Cuppa Calm is another of the Coloring Café Coloring Books for Grown-up Girls series. It combines pages for journaling and note taking along with 35 different illustrations to color. The book features positive and uplifting messages, and is small enough to tuck into a purse or bag.